It is tempting to ignore a check engine light or to delay service until a more convenient time–especially when your vehicle still seems to be running smoothly when the check engine light first appears. 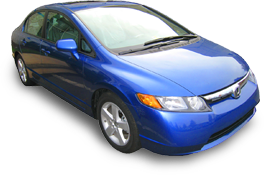 But the check engine light can mean anything from a loose gas cap to a failed catalytic converter, and delays can quickly turn minor problems into major ones. Do not confuse the check engine light with the service required light. The two are unrelated, and the service required light simply means the car is due for some form of maintenance, such as an oil change. 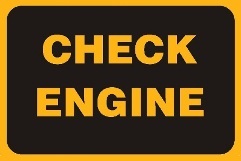 The check engine light means that the self-diagnostic computer in your vehicle has detected one or more of dozens of possible engine problems. The computer puts out a problem code, which a technician interprets when you take your vehicle in for service. Colors and their significance vary between manufacturers, but most check engine lights appear as yellow, amber, orange or red. A flashing check engine light, however, indicates a more serious problem that requires immediate attention. Even when the light is steady, the sooner your vehicle’s problem is diagnosed and treated, the better your chances of returning to the road with a minimum of expense and aggravation. Can you assume that unless a check engine light or service indicator appears, your vehicle is fine and needs no maintenance? Unfortunately, and unequivocally, no. You need to follow the owner’s manual that came with your vehicle. Manufacturers insist on regular, documented maintenance before they’ll honor warranties. And that need for preventive maintenance doesn’t end with the warranty period.